I had been told by my friend David Fischer that Lake Gilles Conservation Park was a good spot to find this attractive dragon. 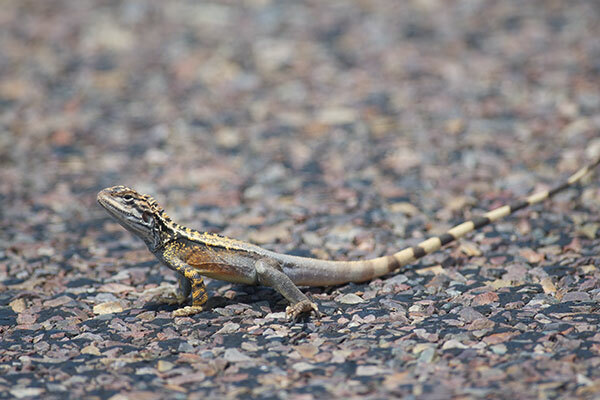 As I was nearing the turnoff for the park, what should I spot in the road but this fine lizard. I got a few photos before it raced off, then I continued and visited the park itself for a couple of hours, where I saw no further Crested Dragons. 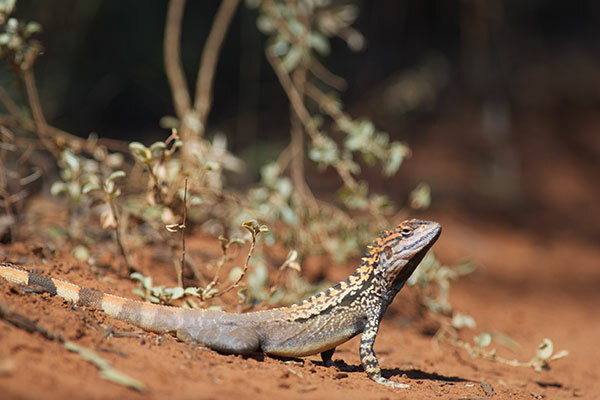 This is one of several Ctenophorus species that are called "Bicycle-dragons" due to their habit of racing away on their hind legs ("like little dinosaurs", everyone always says about bipedal locomotion in lizards). You can see how big and strong those back legs are. 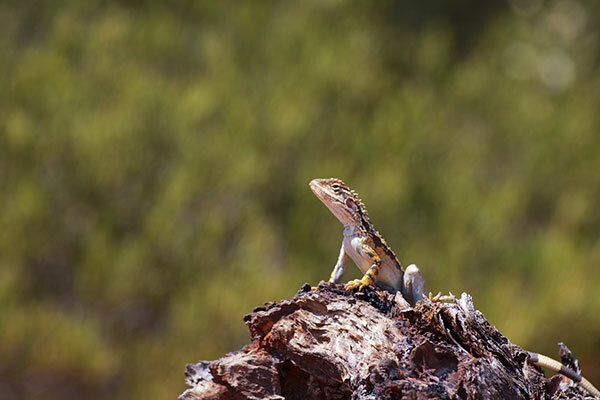 This species is basically a ground-dweller, though they will sometimes perch on rocks or stumps. 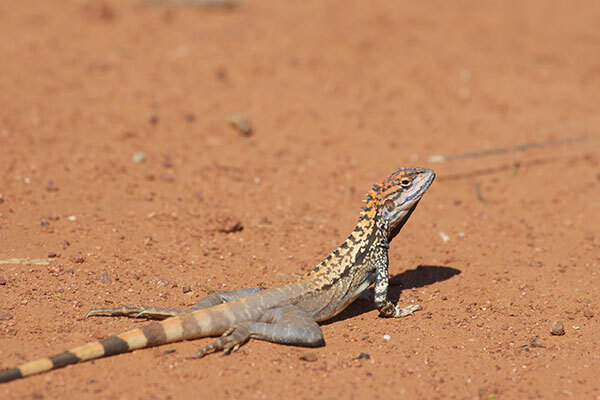 I saw this one at the side of a dirt road upon which I was driving slowly to look for thorny devils.